Did y'all know why we celebrate St. Patrick's Day? I bet my bestie did because she is absolutely a wealth of knowledge. That girl has more info stored in her little finger than I'll ever HOPE to learn! I had to do a bit of research!!! 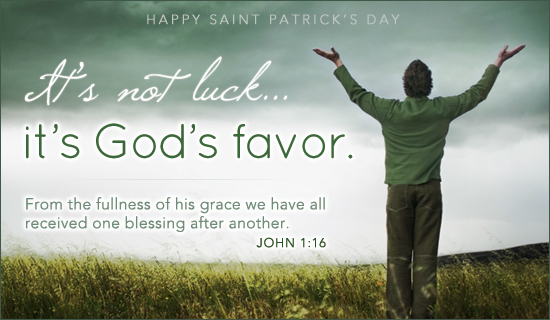 St. Patrick, or the "Apostle of Ireland," actually started out in the pagan religion. While not much is known about his early life, as many of his life's details were lost to folklore, letters from St. Patrick reveal that he was captured in Wales, Scotland, or another close area outside of Ireland and taken to Ireland as a slave. Years later, he escaped and returned to his family, who were Romans living in Britain, going back to Ireland for mission work after finding a place as a cleric and then Bishop within the Christian faith. He was born around 460, and by the 600s, he was already known as the Patron Saint of Ireland. There are many legends associated with St. Patrick. The symbol of the shamrock used for St. Patrick's Day comes from the story of St. Patrick using the shamrock to illustrate the Holy Trinity. The three-leafed plant coincided with the Pagan religion's sanctity of the number three and is the root of the green color theme. St. Patrick's Day was first celebrated in America in 1737, organized by the Charitable Irish Society of Boston, including a feast and religious service. This first celebration of the holiday in the colonies was largely to honor and celebrate the Irish culture that so many colonists had been separated from. The day is celebrated on March 17th, believed to be the date of his death. Early celebrations continued this modest tradition. In New York, the first celebration took place as a small gathering at the home of an Irish protestant. St. Patrick's Day parades started in New York in 1762 by a group of Irish soldiers in the British military who marched down Broadway. This began the tradition of a military theme in the parade, as they often feature marching military unites. The holiday eventually evolved from the modest religious dinner into the raucous holiday we know today. a few reasons why we celebrate St. Patrick's Day. and remember to wear your green so you won't get pinched!!! I like your info. Its interesting! Great post Deb! Happy St Patrick's Day!